31st of August until 18th of December 2011 - Extended till 15. January 2012! A team of the Egyptian Museum Berlin has been excavating and restoring in the desert of the Sudan for the last 15 years. Numerous, partly monumental, reliefs and statues of kings and gods have been found in the ruins of the temples of Naga, a royal city existing during the Meroitic kingdom ca. 2000 years ago. Sculptures of lions, reliefs and inscription (of a still undeciphered language) were discovered. Brought directly from Naga, 130 finds will be exhibited in Berlin as a second station of exhibition after Munich. The exhibition with its works of art from Naga expands the idea of antiquity from Egypt to include the culture of Africa. The exhibition, besides opening a new insight into the history and art of antiquity, also contributes to the cultural and historical identity of the Sudan and thereby becomes a factor of dialogue between Africa and the Arabic world. In the Blink of an Eye. From Eye Inlays to the Artificial Eye. The eye - sense organ, expression of personality, mirror of the soul - has fascinated mankind since the dawn of its history. The production of artificial eyes dates back to the very beginnings of the first advanced civilizations in Egypt and Mesopotamia. The eyes, fashioned from various materials and often formed with painstaking care, made the appearance of statues more real and at the same time endowed them with the ability to perceive light and environment. Thus, in Egypt, the eye obtained an immediate relation to the sun god Ra and was the most important link between god and man. In a like manner the deceased in the other world could establish this contact by means of eye inlays applied to the mummy cartonnage and eyes painted on the sarcophagi. Even if religious interpretations have usually fallen into oblivion today, the eyes still remain an important and very present aspect of human personality. Once injured or lost, they cannot regrow and thus change the appearance of a person. The fascination with the vitality that eyes impart to a face was instrumental in the development of eye inlays created purely for use in an art context and eventually led to the production of prosthetic eyes for use in humans. There is still insufficient evidence of the use of the latter in antiquity, even though experiments in this field are likely to have been carried out. The first definite evidence of prosthetic eyes known to us date from 16th-century France. As was the case with ancient statues, a range of different materials was first tried out until it became clear that glass was the ideal material for use in production. The modern practice of creating ocular prostheses was later founded in the early 19th century in the small German town of Lauscha (Thuringia). 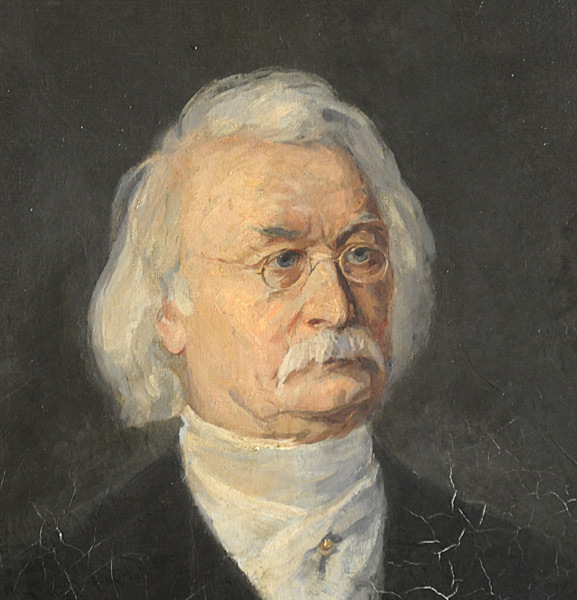 The glass-blower Ludwig Müller-Uri made improvements to the glass eyes created in Paris at the time. His sons went on to perfect the artificial eyes, making them into nothing short of masterpieces which even today meet all demands placed on them regarding material, design and medical use. This one-room show, organized by the Egyptian Museum in conjunction with the glass museum in Lauscha, covers the history of artificial eyes from past civilizations up to the modern day and provides an insight, not only into their development and the production techniques involved but also their diversity and the fascination they exert to this day. The exhibition is located in room 0.04 at the basement (level 0). Especially appealing eye inlays can be found in the mummy cartonnage of Hor in room 0.11 (level 0), in the little statue head of Queen Teje in room 2.09 and in the famous bust of Nefertiti in room 2.10 (level 2). 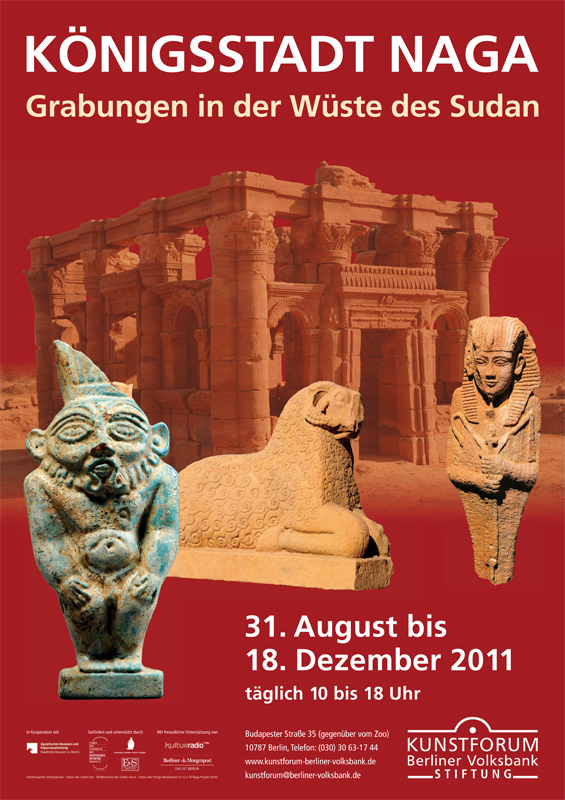 Leben und Wirken von Richard Lepsius, einem der bedeutendsten deutschsprachigen Ägyptologen, wird im Fokus seiner Ägypten- und Nubienexpedition 1842-45 in Archivalien und Objekten vorgestellt. Einzelne Stationen der Reise sind in den Räumen des Ägyptischen Museums anhand der Exponate und seiner erläuternden Publikationen nachvollziehbar. Daneben werden die Arbeiten von Richard Lepsius als Museumsgestalter der Ägyptischen Sammlung im Neuen Museum 1850 und als in verschiedenen Disziplinen präsenter Wissenschaftler beleuchtet sowie ein Einblick in sein Privatleben gegeben.